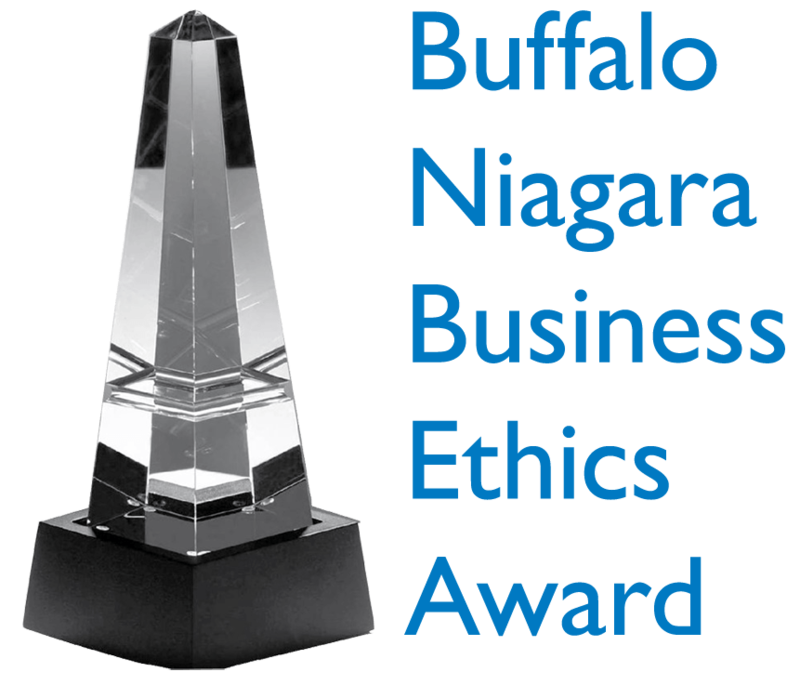 Copier Fax Business Technologies has been named a finalist for the Buffalo Niagara Business Ethics Award. The official winners will be announced at a luncheon on Thursday, May 17th at Salvatore’s Italian Garden. 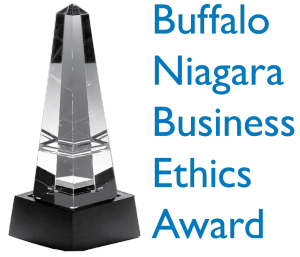 The Buffalo Niagara Business Ethics Award (BNBEA) was established in 2007 to identify and honor companies that demonstrate a firm commitment to ethical business practices in daily operations, management philosophies, and responses to crises or challenges. Each year, BNBEA celebrates business ethics by honoring local companies who display business ethics both internally and externally. Finalists and award recipients are recognized at our annual celebratory luncheon event in May at which time the Crystal Award is presented to the recipient companies. After several years of applying for this great honor, CFBT is very proud to be considered a finalist. The ultimate goal is to win the Crystal Award in our category, which is considered the highest honor and demonstration of ethical practices.